Dandruff is a doozy. Dandfruff is due to excessive shedding of dead skin cells from the scalp. It is quite normal for the skin cells of the scalp to die and flake off. A normal quantity of skin flaking is quite natural, but when the flaking becomes excessive due to some irritation or some skin allergy then it needs attention. There is no convincing reason yet whether some foods like sugar or yeast or excessive perspiration can cause or increase dandruff. If you have some fungal infection, that can cause dandruff or flaking of the skin. Another cause of dandruff could be cold weather, cold weather makes the skin dry and causes it to flake and shed which in turn causes dandruff. Some kind of food allergy can also be a cause of dandruff. 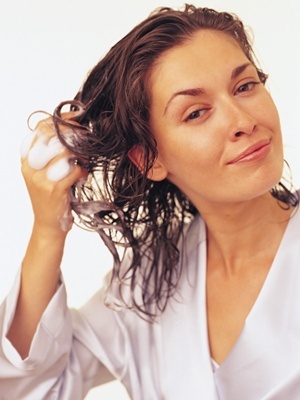 Even nutritional deficiency can be one of the major causes of dandruff. Deficiency of B-complex vitamins or omega 3 fatty acids and other such vitamins can also cause flaking of the skin. Excessive use of hair gels, hair sprays or other chemicals such as hair coloring chemicals can also cause roughness of the scalp and cause it to shed skin. It is difficult to find a 100% dandruff cure. But we can definitely prevent dandruff. It is basically a natural process of skin drying and flaking but when it gets excessive it becomes a cause of concern. Eat healthy nutritious food. Avoid oily and fried food items. These increase the problem of dandruff. Do not expose your skin to too much sun because its rays could harm the skin and the hair texture. Also, too much cold is not good for the skin as it has the chance of drying up and in turn causing dandruff. Extreme climatic conditions should be avoided. Wash your hair at least twice a week. Always keep your scalp clean. Use a fine toothed comb. A balanced diet in food and proper intake of liquids keeps the skin and hair healthy hence avoiding drying and dandruff. Then even relaxing techniques such as meditation reduces stress and therefore helps as a dandruff treatment. Using proper shampoos and not exposing hair to too many chemicals will help hair and scalp to remain in a natural state. So by taking a little care of health and skin we can definitely help prevent dandruff. Keep your scalp clean and stimulated with Kasia Spicy Citrus Shampoo. With a healthy PH for your hair and scalp and essential oils lime, lemon, and ginger help exfoliate the scalp, add body....but does not strip your hair! Essential oils can be very effective in minimizing or halting the problem. The best carrier oil is jojoba oil. Mix your jojoba oil oil for treating dandruff with the the following oils and work them into the scalp. Negate is a new product and is remarkable for hard water, scalp build up, medication buildup, and over-all health of the hair. We recommend this product 1x week if you are experiencing build up, scalp sensitivities, dandruff, or are swimming. Newer PostAre You Really Eating These in Your Supplements? What Are Excipients? Older PostKare 11 New Features Kasia Glycolic Pumpkin Facial!